The Architecture Foundation of Oregon is a nonprofit organization that connects Oregonians with our designed environments. Design can be nearly invisible, yet it has considerable impact on our everyday lives. 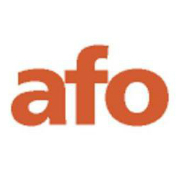 AFO helps people connect to design and the ways in which it shapes their lives and their communities. AFO runs Architects in Schools, a free, comprehensive in-school architecture and design program for elementary school students and their teachers. Architects in Schools (AiS) pairs volunteer, practicing architects with classroom teachers to design and implement six-week residency programs utilizing the AiS curriculum guide. In honor of Senator Hatfield, his civic commitments and design contributions, The Senator Mark O. Hatfield Architectural Award is awarded yearly to an architectural student who can demonstrate outstanding design skills together with a commitment to service in his/her community. The award is open to all architecture students currently enrolled at either the Portland State University or University of Oregon architecture programs. The Architecture Foundation of Oregon provides small grants to organizations and individuals to further AFO’s mission. Typically, four to six grants in the range of $1,000 to $5,000 are awarded each year. In 2010 AFO, along with PDXplore, created an exhibition and presentation series entitled "Crossing The Columbia: What Does It Mean?" in an effort to helped citizens understand the CRC project, to stimulate public dialog, and to advocate for expansive design thinking.